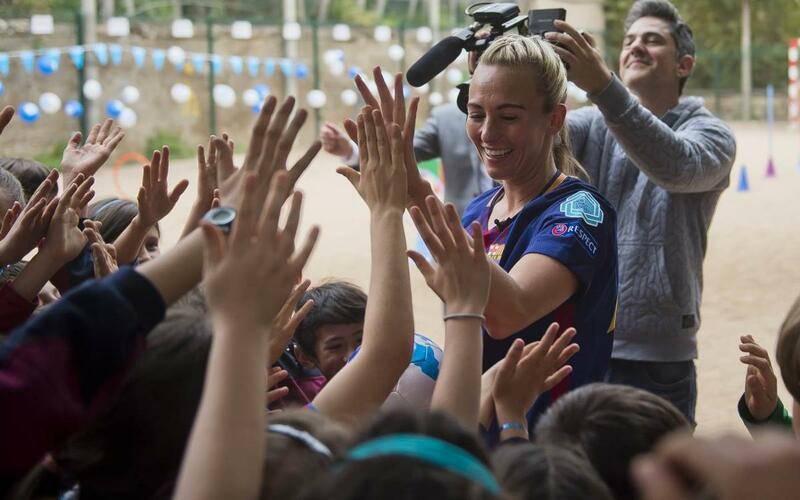 Toni Duggan was invited to the Escola Internacional de Catalunya (ISCAT) in La Garriga, Barcelona, to take part in the ‘Soccer Aid Playground Challenge’, a Unicef project that is enjoying success around the world. This campaign, which is well known in Britain after thousands of children took part, has earned over 24 million poiunds to help vulnerable young people. The Barça women's team striker was received with great expectation at the school, much to her pleasure and surprise. Duggan, who is currently in the final stages of her recovery from a muscle injury, collaborated on a circuit with the students. “It's a very positive initiative and I'm very proud to form a part of it," she said after her visit.